When you look at the news these days, it sometimes seems like humanity has forgotten how to be … well, humane. At Ray of Hope, we hear painful stories every day from people who are suffering because of the actions of others. But we also get to witness stories of amazing transformations, made possible because of dedicated staff, generous donors and caring volunteers – like you! In this issue, hear about some of those transformations. Learn how hospitality blesses both the people who open their doors as well as those they welcome. Then, read the inspiring story of a volunteer who, despite personal tragedy, is determined to help others. Enjoy! 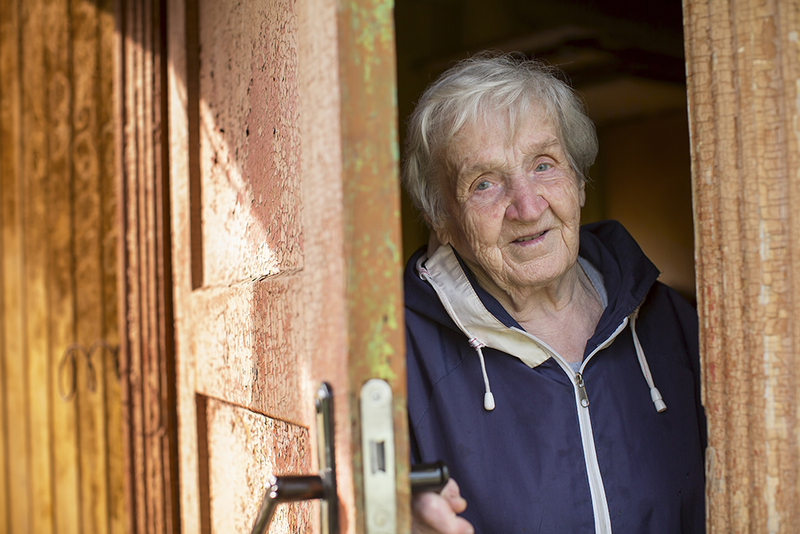 Welcome Home’s Stephanie Schreuders talks about the healing power of hospitality. Above: Stephanie (at left) enjoys a picnic with friends. As her term as Welcome Home’s Program Support Coordinator draws to an end, it’s the quiet times that Stephanie Schreuders will remember most. Hours spent sitting and talking with people from all over the world. Drinking tea together or sharing a meal. Accompanying a young mother to doctor’s appointments and then to the hospital for the birth of her baby. And friendships that continue long after residents leave Welcome Home to begin their new lives. Four years ago, Stephanie was a recent graduate of Redeemer University’s social work program and had just returned from a four-month placement in Ghana. She hoped to find a job near her home in Hamilton, but God had other ideas. “He just very clearly kept closing the doors, over and over again,” she says. Until the day she found a posting for a summer internship program working with refugees. The internship was with an organization called Welcome Home Refugee House. Once the internship ended, Stephanie worked for another organization in Kenya for a few months, during which time Welcome Home staff learned they weren’t able to stay at their current location. When she returned, Stephanie worked part-time for Welcome Home and volunteered on the Relaunch Team as the organization transitioned to a Ray of Hope program. In the fall of 2016, she moved into her current role when Welcome Home launched its new location in Waterloo. 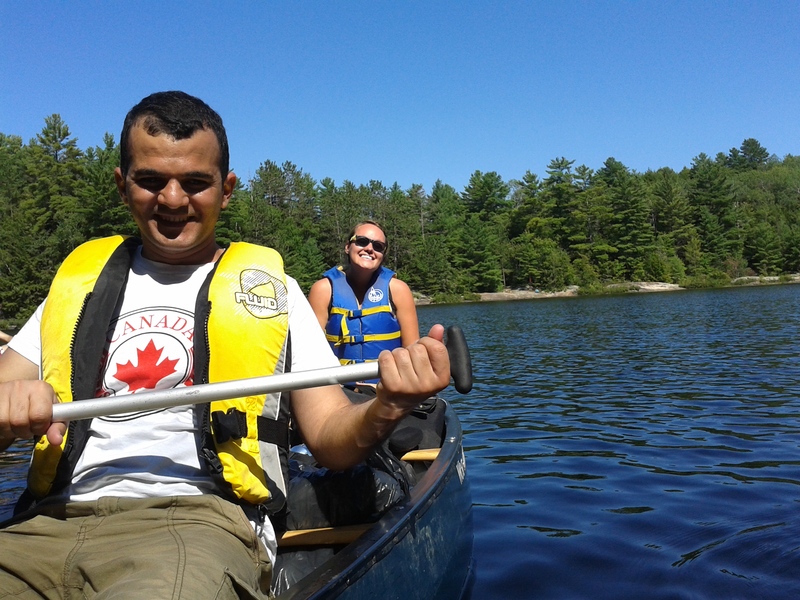 Stephanie (in stern) helps introduce Welcome Home residents to classic Canadian activities like camping and canoeing. As Program Support Coordinator, Stephanie organizes a variety of programs for Welcome Home’s residents, from worship to community meals to camping trips. This fall, Stephanie will be pursuing a master’s degree in Peace and Conflict Studies at the University of Waterloo. “But community development, refugee work and building relationships with my neighbours is something that I will definitely continue,” she says. What would she like to others to know about the people she’s come to know so well? Elmer Ivan (second from left) overcame a devastating illness that took his health, his business and his family. Even though he’d lost so much, he decided to get closer to God by serving others. Now he volunteers at the Ray of Hope Community Centre every Monday night. Ray of Hope couldn’t exist without the dedication of our volunteers. Hope Heroes is a way for us to recognize these very special people. Have you ever wondered “Why me?” when something bad happens? For Elmer Ivan Gomez, that ‘something bad’ was a devastating illness that destroyed his health, his business and his family. But despite his personal tragedy, he’s determined to serve others. Seven years ago, Elmer Ivan was a successful business owner, happily married with two children. On June 18, 2011, he suffered a brain aneurysm while playing soccer. He was airlifted to McMaster Hospital, where he underwent surgery and spent 24 days in a coma. Eight months of physio and speech therapy followed as Elmer Ivan learned to speak and walk again. But despite his hard work, not everything returned. He now has no peripheral vision in his left eye and has become epileptic. He takes 28 pills a day. Before his aneurysm, Elmer Ivan owned an industrial sanitation company and employed 14 people. After his illness, the company was forced to close. And perhaps worst of all, his wife left him, taking the children with her. In the middle of his pain, Elmer Ivan turned to God. “My life had changed, and I decided I wanted to get closer to Him,” he says. Before his illness, Elmer Ivan supported charities that work in developing countries and his company raised almost $7,000 for earthquake relief in Haiti. And even though he’d lost so much, he started to look for new ways to help others. So, every Monday from 4 until 10 p.m., you’ll find Elmer Ivan operating the industrial dishwasher in the ROHCC’s kitchen. Five days a week, he attends the Opportunity Centre, a program that offers social, recreational and therapeutic activities for people with acquired brain injuries. He’s active in his church and is able to spend time with his kids every other weekend. When you give any of these items, you help to make life a little easier for struggling neighbours. Thank you! Or provide meals for hungry people through our secure donation page.